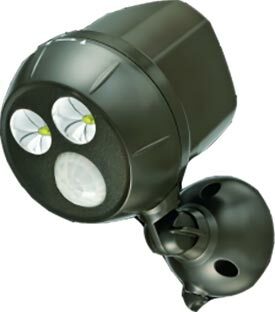 The Ultra Bright Spotlight has a massive 300 lumens and is perfect for lighting driveways, gardens and pathways. Motion Sensor: Spotlight will only turn on when both motion and darkness are detected. 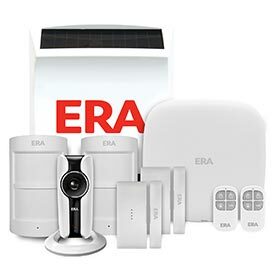 Automatically turns off 30 seconds after last motion was detected. Detects motion up to 10 metres away. Easy to install: No wiring required, no expensive electrician. Spotlight can be installed to any surface in a matter of minutes. Bright LED: Spotlight provides a bright 300 lumens of light with dual LED's. Light coverage of 160 square metres. Robust and weatherproof: Weatherproof design and well made robust product. Battery Life: Very long battery life of 6-12 months with average usage. High quality LED's never need to be replaced. "Great security light for my driveway. I installed the Spotlight in about 5 minutes to a fence. The LED is really bright and lights the entire driveway the second someone comes down the drive." 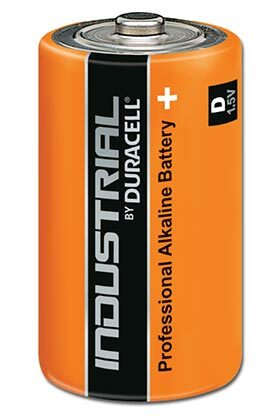 Duracell recognise that people using batteries in the workplace have special requirements, thats why they offer the Industrial line of professional batteries, Duracell Industrial batteries are dependable, long lasting and packaged for end user and distributors in the professional & industrial market.